Journey now to the thrilling days of . . . tomorrow! 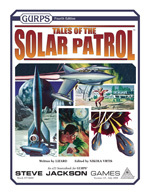 After the terrifying war with the Overlord of Jupiter, the Solar Patrol was commissioned to police the interplanetary space lanes, protecting traffic from pirates and the insidious Red Hive! 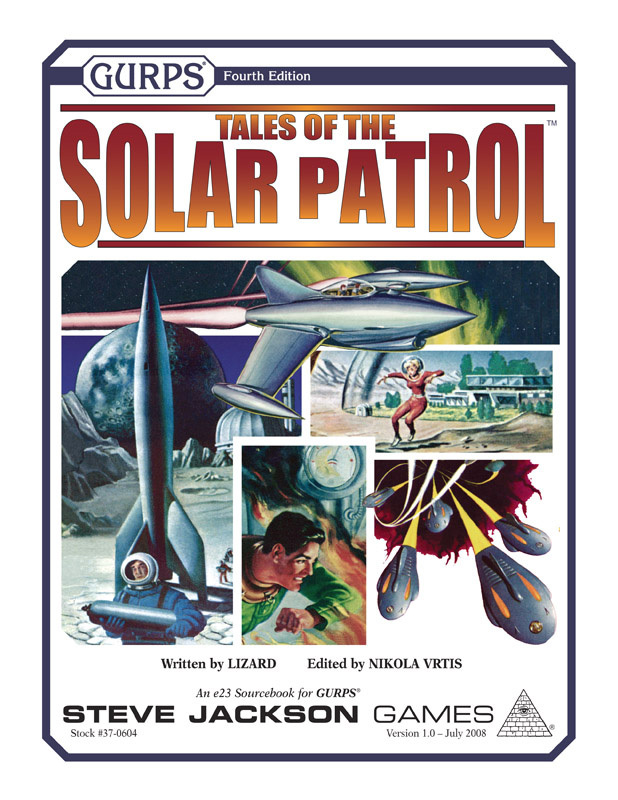 Drawing inspiration from the films, novels, comic books, and radio shows of the '30s, '40s, and '50s, GURPS Tales of the Solar Patrol presents an original setting for GURPS. In this alternate future-history, computers use punchcards, the swamps of Venus are home to strange natives, and the mighty Telsa coil has made it possible for humanity to explore and colonize the Solar System. Get the templates, equipment, and ships you need as a Patrolman in this pulp-science fiction "world of tomorrow"!